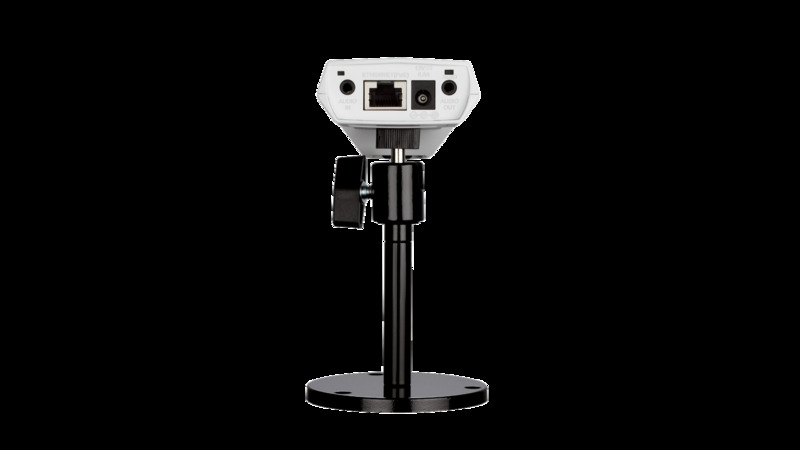 The D-Link DCS-3010 is a full-featured, high-definition, PoE-enabled fixed network camera, equipped with 1/4” megapixel progressive scan CMOS sensor and 4mm fixed iris lens. The camera can capture high resolution videos at resolutions of up to 1280 x 800 with frame rates of up to 30 fps. With this self-sufficient surveillance solution, snapshots and video can be saved to a network drive or to onboard storage with the built-in SD card slot, without requiring a PC. Simultaneous streaming provides both high-quality and bandwidth efficient compression formats, whereas PoE allows easy installation in a variety of locations, even when no power outlet is nearby. 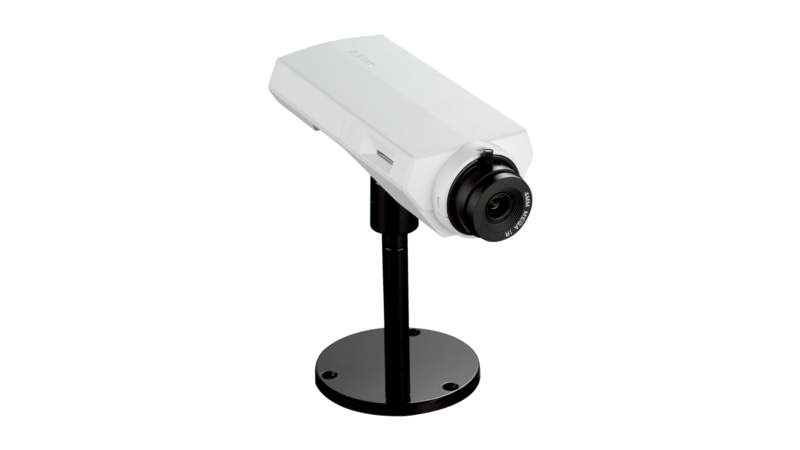 The D-Link DCS-3010 is a full-featured, high-definition, PoE-enabled fixed network camera, equipped with 1/4” megapixel progressive scan CMOS sensor and 4mm fixed iris lens. This camera can capture high resolution videos at resolutions of up to 1280 x 800 with frame rates of up to 30 fps. Snapshots and video can be saved to a network drive, or to onboard storage with the built-in SD card slot. The DCS-3010 supports simultaneous streaming of H.264, MPEG-4, and MJPEG video to provide both high-quality and bandwidth-efficient compression formats. MJPEG delivers excellent file integrity, ideal for situations which require high image detail. H.264 and MPEG-4 produce a small file size, useful for extended recording or for use in low-bandwidth networks. Additionally, the DCS-3010 supports multicast H.264 and MPEG-4 streaming, allowing users to view the camera feed by subscribing to a multicast IP address on the network. The DCS-3010 incorporates Power over Ethernet (PoE), which allows it to be easily installed in a variety of locations, even when no power outlet is nearby. The DCS-3010 has a built-in microphone as well as external audio input and output, making it useful for remote two-way communication. 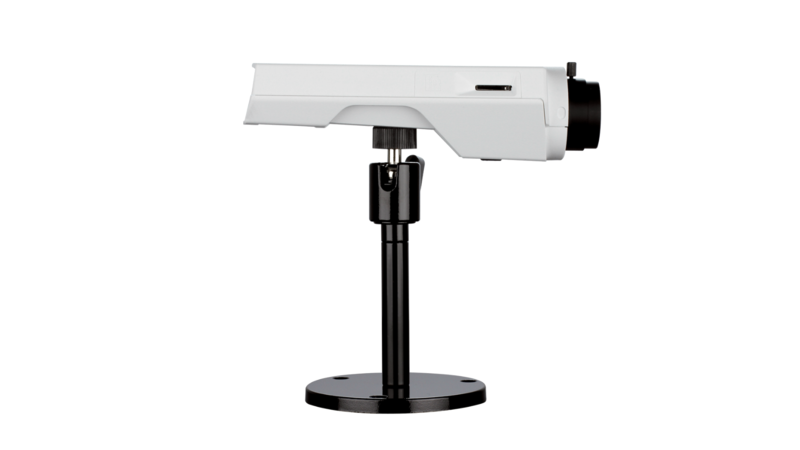 The included D-Link D-ViewCam™ is sophisticated software which allows users to manage up to 32 network cameras, set e-mail alert notifications, create recording schedules, and use motion detection to directly record important events to a hard drive. D-ViewCam™ also allows users to upload a floor plan to create a realistic layout of the premises where cameras are located, further simplifying the management process. ONVIF is an open industry forum for the development of a global standard for the interface of IP based physical security products. ONVIF identifies a standard for how IP products within video surveillance and other physical security areas can communicate with each other ensuring interoperability between products regardless of brand. The DCS-3010 is ONVIF Profile S compliant and therefore interoperable with other manufacturer’s products on the same network such as cameras, storage systems, video analytics products and Video Management Systems. For more information on ONVIF and compatible D-Link network cameras, please click here.